April is the month of holidays and that is just as well as it is also a busy, busy, busy month in the garden! Your garden might not be very inspiring at the moment and it can be rather dreary just tidying up, but the success of you winter/spring garden depends on how hard you work this month. Replant as many of your wooden troughs and pots as you can to give your garden a fresh look. While the lawn is still growing, mow once a fortnight with the blades on high for the final few cuts. Check all the stakes on your standards especially your roses. Don’t use wire or the like, which will cut into the stem. Purchase ties from our nurseries. Spend time pouring over rose catalogues and choose some that strike you as interesting. Planting new roses now will allow them to ‘settle-in’ during winter and will also give them a head start in spring. 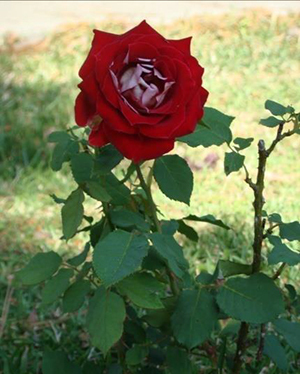 Make sure that you continue to spray your roses against fungal diseases such as mildew and black spot. The best hedge is a dense hedge, so if you have not started your autumn hedge pruning yet, now is the time to get this job done. Only prune evergreens and those that have finished flowering in summer. They should be pruned to be narrower at the top than at the bottom, so that the sun can reach the whole plant. The result? Dense new growth, right down to ground level. Suggestions for flowering hedges - Abelia, Callistemon (bottlebrush), Solanum, Escallonia and Camellia sasanqua will all grow into lovely flowering hedges that do not need constant pruning. 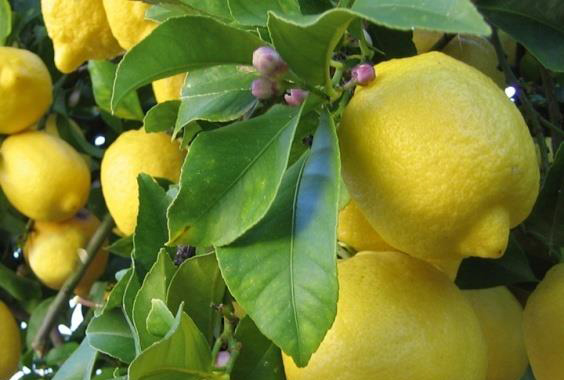 Feed your citrus trees with a general fertiliser and a handful of Epsom salts per tree. Leave fallen leaves to rot but destroy any diseased plant material as soon as possible. Any other plant material can be raked up and composted. Our gloves and plastic rakes are on special this month to make this job easier! If your compost was not started last month, get going on this. Turn your compost once a week. You can add weeds, but not their flowers. 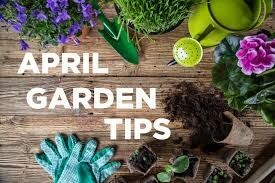 April is an excellent planting and transplanting month for all trees and shrubs. The worst of the summer heat is over. Before transplanting trees or shrubs, prepare the soil in the new position by adding plenty of compost and fertiliser. Water the tree and the hole where it will be planted well before transplanting. 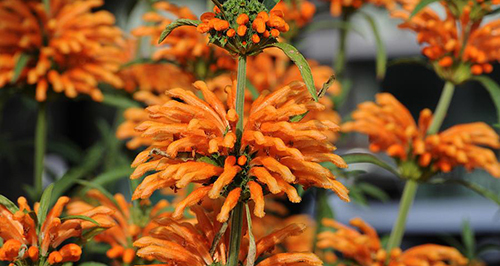 Wild dagga (Leonotis leonurus) is a very hardy, drought- and frost-resistant, evergreen shrub that produces beautiful tubular flowers from February to July. Plant one in sun or semi-shade to provide an important food and nectar plant for sunbirds, bees and butterflies during autumn and winter (remember your pledge to help the bees!!!). 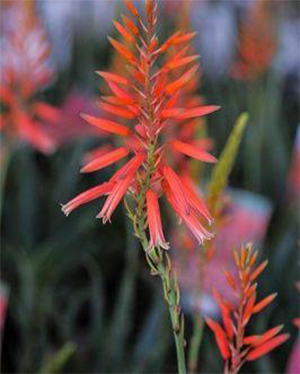 The tubular shape of the flowers, along with their orange colour, suggest that it co-evolved with the African sunbird, one of its biggest fans. These shrubs benefit from a good ‘haircut’ each spring. 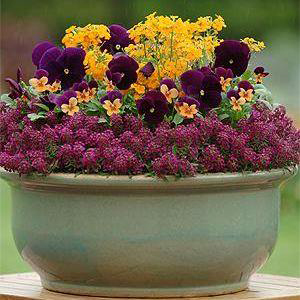 April is the perfect time to buy and plant out the 4 “P”s - primula, poppy, petunia, and pansy seedlings. 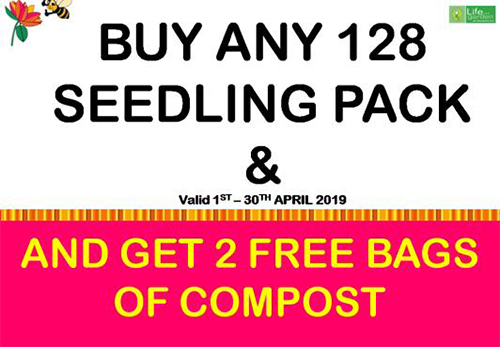 Buy any 128 seedling pack and get 2 free bags of compost! 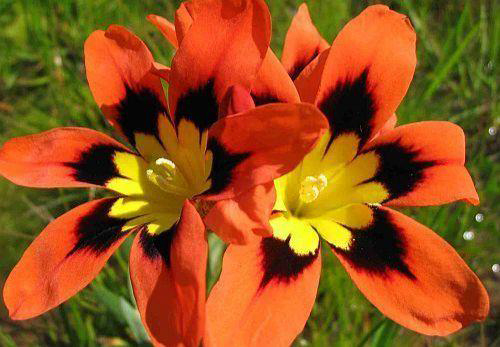 Plant bulbs and choose from a selection of South Africa’s indigenous bulbs such as watsonia, freesia, ixia, chincherinchee and sparaxis and non-indigenous bulbs such as daffodils, irises, tulips and hyacinths. 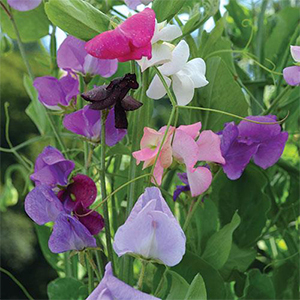 Plant out perennial plants, such as lupins, shasta daisies and aquilegias. Snails and slugs are active now as well, devastating leaves on plants and ruining their appearance. Snailban or Ferramol can be used effectively. Autumn is the peak season for leaf miners. Leaf miners cause twisting and curling of new leaves. Control this with regular applications of Eco Insect Control SC. Now that the leaves are starting to thin out on deciduous trees, shrubs and roses, it’s a good time to see if there are any scale insects on the stems and branches. Scale is a sap sucking insect that can cause severe damage to many types of plants in the garden. They can be eradicated by spraying with Malasol or Oleum. 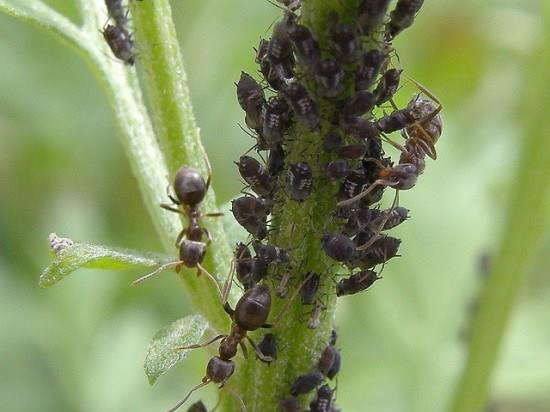 Watch out for ant movement as they are the main culprits for transferring disease around the garden. Sprinkle Ant granules around their holes and along their trails. This is one of the best times to attack these problems.